Named by Southern Living as one of the region’s best events, the Marietta Pilgrimage, held in a suburb of Atlanta, has been a beloved tradition for over 30 years. The holiday tour of homes signals the beginning of the holiday season, providing visitors with a look into carefully restored private homes in one of the city’s historic districts. These homes date back as far as the 1800s and span many architectural styles, including Tudor, Victorian, and Craftsman. Organized by the Marietta Visitor’s Bureau and Cobb Landmarks & Historical Society, it is the area’s must-attend event. Keep in mind that there are no photos allowed inside the homes and some have off-limits areas. Plan how long you’ll go for. Held over the first Saturday and Sunday of December every year, visitors can enjoy the pilgrimage a few different ways. There are two types of tickets. 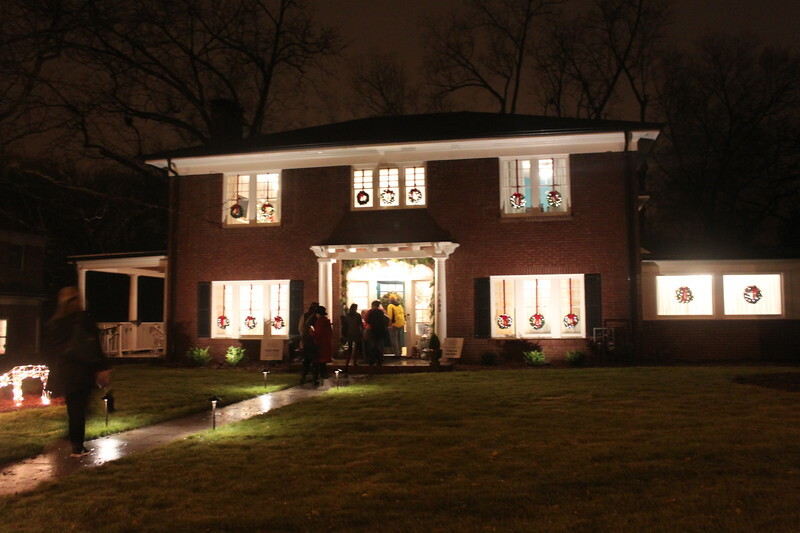 You can either do a day tour, visiting all six homes, or candlelight tour, visiting three after dark. There is also a combination ticket that includes both the candlelight tour and daytime tours. There are often lines to get into each of the homes and it takes time to get through each of the rooms with guides, so give yourself plenty of time. Homes can be visited in any order. Tickets are $20-35 and can be purchased at the Marietta Welcome Center or William Root House Museum & Garden. The locations of the houses vary by year, but this year they were all within the same few blocks in the Church-Cherokee District. But this isn’t always the case, so decide how much walking you plan on doing. There is a shuttle every 15-20 minutes that runs in a loop from the welcome center to each of the homes during the day. There is no shuttle during the candlelight tour. Because of the rain on the first day we went, there was no problem finding parking right by the houses, but this isn’t usually the case. Parking is available at the free lots off Mill Street and at the Cobb County Parking Deck off Cherokee Street. It’s possible to find street parking around the Square and at closed businesses around the historic district, but don’t park in front of houses. Many of the homeowners set up signs to discourage you. The best part about attending an event in Marietta is getting to eat there. The Bistro is a quick option inside the Marietta Museum of History, but there are plenty more options just steps away. Stockyard Burgers, Paul’s Pot Pies, Australian Bakery Cafe, WR Social House, Kiosco, The Marietta Local, and Spring Restaurant are fantastic, all on the square. Sessions Stand is my go-to breakfast in the historic district. There are even breweries like Two Birds Taphouse and Glover Park Brewery if you need a drink. A short drive away are additional favorites like Gabriel’s, The Red Eyed Mule, and Dave Poe’s BBQ. 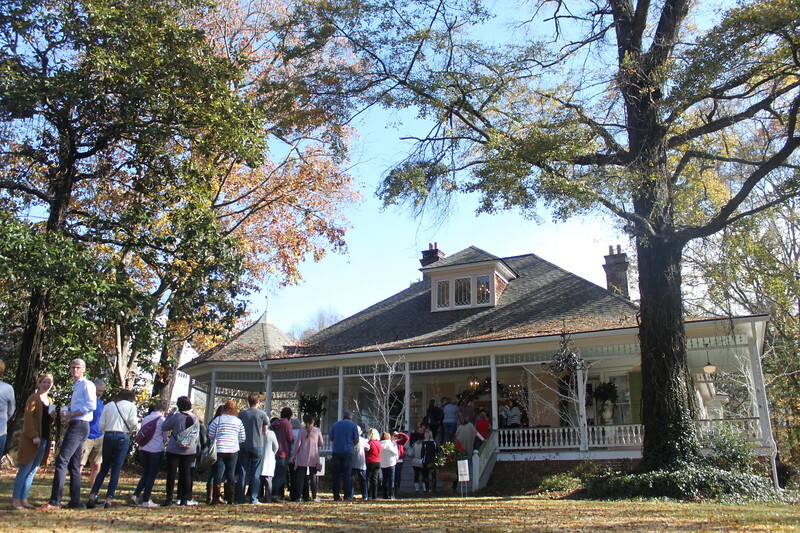 If you have time, add on a trip with Marietta Food Tours. Look at the public buildings too. While the homes are the main draw, some additional historic spaces open their doors for the weekend for special events and concerts. For example, the William Root House Museum, Marietta Fire Museum, Marietta Museum of History at The Kennesaw House, the Marietta/Cobb Museum of Art and Brumby Hall, home to the Gone with the Wind Museum, are all open. Local churches also open their doors. You might even spot Santa on the square! And while you’re exploring the area around the square, pop in some of the shops to support your small businesses during the holiday season. For more information on the event, visit the Marietta Pilgrimage website. 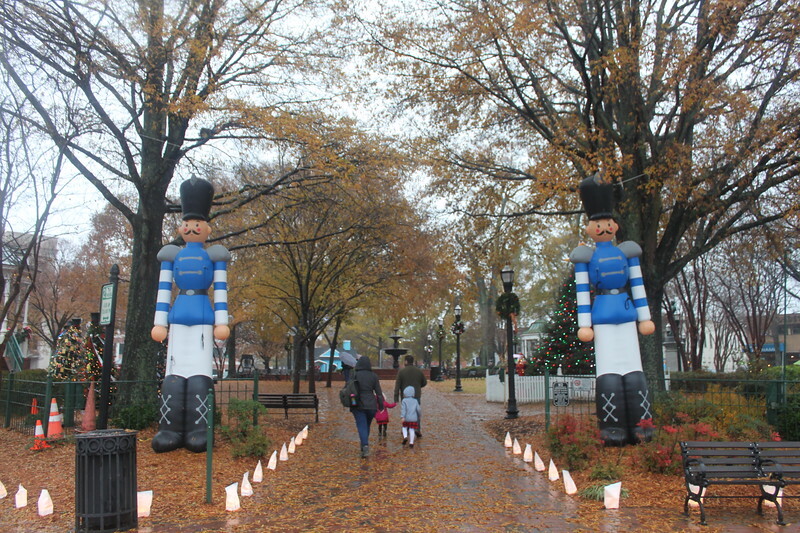 This post was created in partnership with the Marietta Visitor’s Bureau.